As the mother of an extremely wakeful breastfed baby, I lost count of the number of times I had it suggested to me that I give my baby a bottle of formula at bedtime to help him sleep longer. I am a breastfeeding advocate, anyone who reads my blog would know. This does not make me anti formula but it does make me someone who is anti using formula for no valid reason for MY babies (reiterating the ‘MY babies’). This brings me to the point of this post- in the effort to help a mother with a wakeful baby, please be cautious of throwing out suggestions that may impact on that child’s normal wakeful behaviour and the breastfeeding relationship of that mother and child when there isn’t evidence to suggest your advice will have the desired effect and even if it does, perhaps the desired effect is a double edged sword and its potential risks outweigh the advantages. Allow me to elaborate- it is now widely acknowledged that both waking at night and breastfeeding are two PROTECTIVE factors against SIDS. A baby arousing out of deep sleep regularly and cycling through lighter sleep, waking to nurse and then drifting back to deeper sleep before cycling again, is the healthy, ideal pattern for a baby’s sleep to reduce their risk of SIDS. Formula feeding increases the risk of SIDS. This has been backed by studies. The fact that I, and many other mothers of wakeful babies are given the advice to ‘top up’ our babies with formula to make them sleep ‘better’ in no way respects these basic SIDS findings. A baby sleeping more deeply because their tummy is chocker block with milk derived from a very large beast that has produced it for their very large offspring and is much more difficult for my baby’s immature gut to break down than my perfectly designed, human breastmilk, seems like a bizarre if not downright dangerous piece of advice. In effect, this use of formula is almost a prescription of medication- it has been suggested purely to ‘fix’ the waking of a child. Formula is 100% necessary in some scenarios and there is no doubt it provides nutrition for babies. But, suggesting a mother give her baby, who is otherwise thriving beautifully on breastmilk, formula for the sake of making them sleep longer and more deeply … I smell a rat. Most mothers would actively question and cautiously attend to the use of any medication for their baby. It is only natural that we only wish to use medication when it is in fact required and beneficial to our child. The use of formula to effectively ‘medicate’ a baby to sleep is not based on science. So if there is no evidence to back up its use, why is it still suggested by so many and why does it seem to work for others? Well, in part, I think it is still suggested because we live in a society where we need to ‘fix’, ‘mould’ and ‘conquer’ anything we see as problematic or abnormal. In our fixer-upper world, a baby who doesn’t fit the sleepy ideal needs ‘fixing’ and as sleep is prioritised above all else, we have come to making recommendations of techniques and strategies that focus solely on this desire without much critical thought into the impact of these techniques and strategies. Formula is harder to digest than breastmilk, therefore, if you only believe or only accept that a baby wakes out of hunger over night, you could easily believe that a wakeful baby is not satisfied by breastmilk and therefore formula would help them be less hungry and therefore they would not need to wake. For some formula fed babies, this does seem to be the case and they wake very infrequently. But, looking at the evidence, you have to wonder also at whether their lack of waking is due in part to their temperament and also their tendency to sleep deeply, which raises SIDS alarm bells for me. Overall, the idea that our babies only wake out of hunger is a very narrow although extremely popular view and is certainly one of the ‘go to’ pieces of advice that is dished out by not only well meaning family and friends but also health professionals. The problem with health professionals being the major port of call for very tired mothers is that their very medical training can actually blur their approach to infant sleep. If you asked many of these professionals, what evidence they have to back their advice on infant sleep and what sort of training they have done around infant sleep or breastfeeding, you are likely to find it is extremely minimal and rarely up to date. Yes, some babies DO have problems that are exacerbating their normal wakeful behaviour but these babies are the MINORITY. The vast majority of babies of tired mothers who are asking for advice on their baby’s sleep, do NOT actually have sleep problems that need to be pathologised, treated or fixed. The mother’s exhaustion is real and it can be a very big problem but ‘fixing’ her baby is not the answer. Telling her to fill her beautifully nourished baby up with formula is not the answer. Telling her to train her baby not to call out to her to help when they wake is not the answer. As an exhausted mother, at breaking point, I was told yet again that I should try a top up of formula. I sent my husband out for formula and cried the whole time as he prepared the bottle and then tried to feed it to our baby. Our baby would have none of it. He filled his cheeks and spat it everywhere, so I never got to see the effect it would have. I no longer feel guilty for all the things I tried during my, ‘I am so f#%^ing exhausted, let’s give anything a crack, I just need this kid to sleep stage’. I was desperate and I did what I thought was best with the knowledge I had at the time. I DO however feel let down by the people I trusted giving me advice that is not only not backed by evidence to say it works but also isn’t safe as it increases the SIDS risk for my baby. I needed them to have my back while my vision was blurred from sleep deprivation. I needed them to give me accurate advice. Do I have all the answers? No, I do not. I have written quite a few articles on practical suggestions that may help very weary mothers that do not involve sleep training and I ponder, read and discuss this daily. But I do not think that I am the only one who should be thinking on this. I don’t have all the answers but I do strongly hope that through continued discussion of the strategies and techniques that are routinely offered up to mothers can have a more critical eye cast upon them to bring light to the less than ideal position we as a society find ourselves in. We owe it not only to our very tired mothers, but also to those babies who are subject to this advice. We must do better and to do better, we must first reflect on what we currently do and why. My initiation into breastfeeding:https://bellabirth.wordpress.com/2015/06/09/the-tenacious-breastfeeder/comment-page-1/ I am so grateful (and impressed) that my supporters never once suggested formula. They knew it was important to me to breastfeed, they did not doubt my ability. Likewise, as we muddled on in our parenting, my wakeful baby was accepted as normal not as a problem related to breastfeeding. Formula was never mentioned. 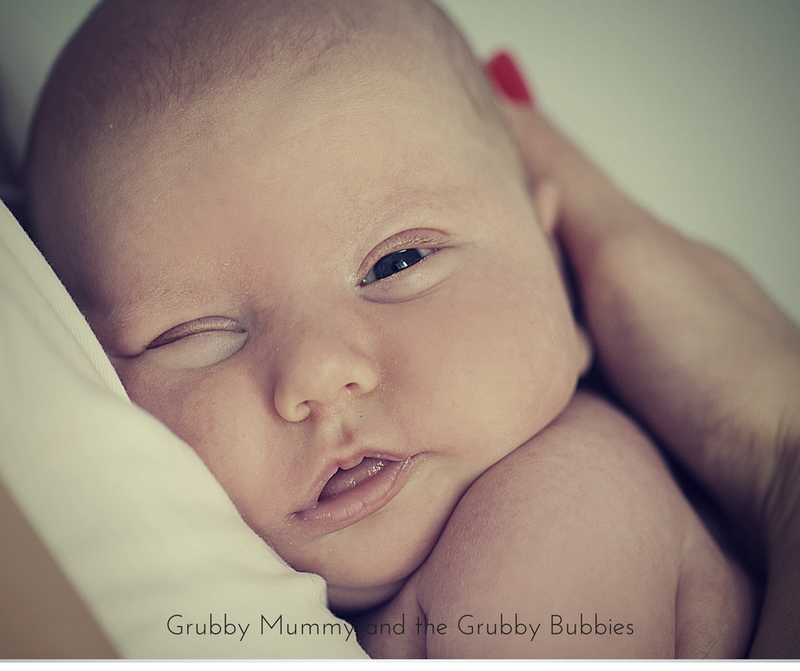 As we approached 12mths, I found ‘nighttime parenting’ by Sears…it was a lightbulb moment. Co-sleeping was the solution!